The PolaPi camera flew to new adventures quite a long ago. I hope it still works and the new owner is using it time to time. I missed it a bit so it is time to rebuild one. In the meantime other parts got out on the market. Such as a smaller thermal printer and the smaller Raspberry pi Zero. Here we have a good opportunity to try to slightly simplify the project and add features missing on the previous one. By simplifying I mean avoid the thermal printer hack of the previous PolaPi, and use Python instead of Java. And by features I mean the possibility of review and re-print pictures. More details can be or will be on this Hackaday.io page. 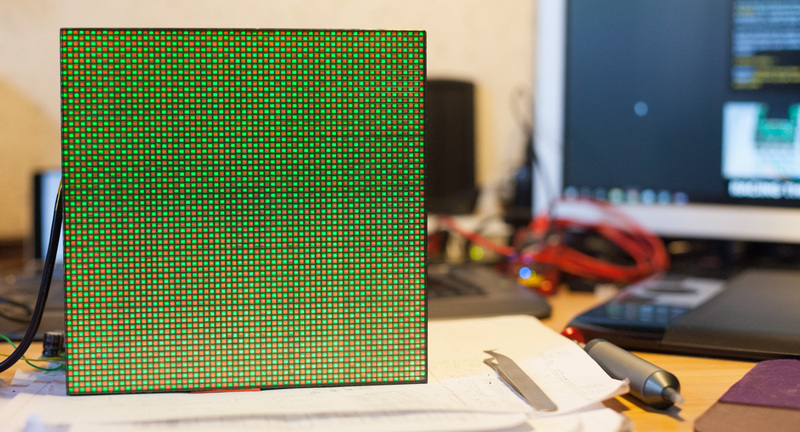 The Adafruit nano printer is only capable of printing black dots. So it is for the Sharp Memory LCD. Except the printer’s resolution is slightly higher than the screen, I like the coherence between what you see and what you get. Vít Hašek made it’s own PolaPi and push the concept for his thesis. He called it the white box, in opposition of today’s black box devices. It is mainly the reason why I made the new one white as well. The electronic hardware is similar of the previous one, except the screen. However I used 3D printed part for the case. The Python code and the way to get the LCD library compiled is still a bit messy at the time of writing, but I’ve put everything on github. Moreover, you can get the SDcard image on this dropbox. 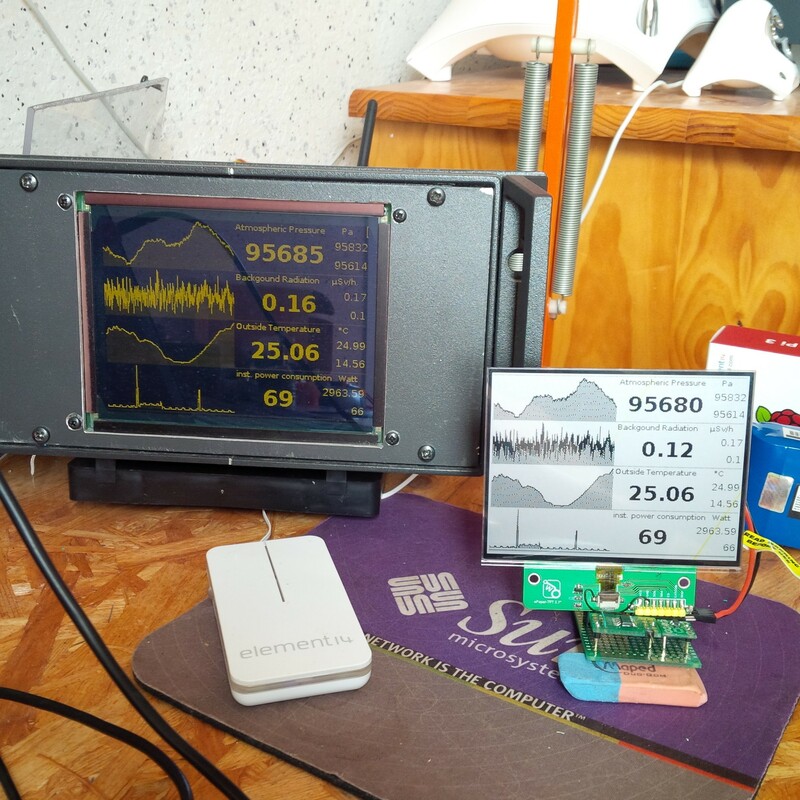 This entry was posted in polapi and tagged adafruit, Adafruit thermal printer, camera, hackaday.io, polapi, Python, raspberry pi, raspberry pi zero, Sharp Memory LCD on February 7, 2017 by pierremuth. The wave of the famous ESP8266 wifi chip from espressif reached me few time ago, but I never experimented it. As a complete image has to be transmitted, the wifi sounds a good solution and the ESP8266 is very capable (beside being very cheap). There is plenty of solution to program it, among the official SDK, microPython or arduino, I chose to test the nodeMCU one. From building the firmware to the integrated development environment ESPlorer, everything is clearly explained on nodeMCU documentation website. A now common solution for very low consumption display is e-ink or e-paper, but another solution from Sharp is interesting as well. There is significant differences between the two, for example the memory LCDs don’t keep the image while out of power. However the current needed to maintain an image is very low, the refresh rate is fast, and the surrounding electronics are very simple. I choose the Sharp LS044Q7DH01, a monochrome 320×240 pixel, 4.4″ display. 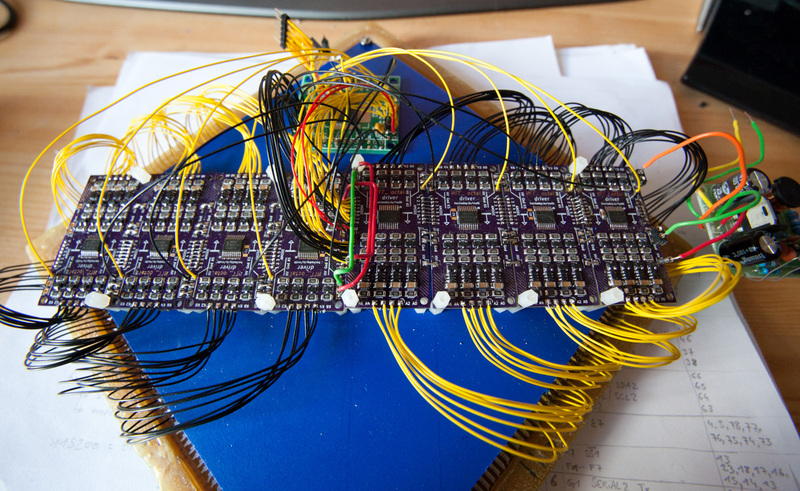 For the firsts tests I begun by my usual ugly wiring on a proto-board. 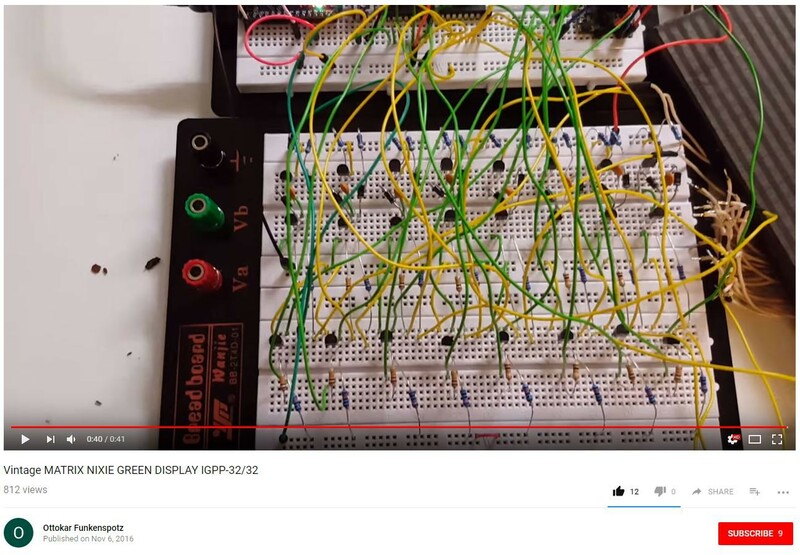 I made a schematics with some option regarding the LCD driving. 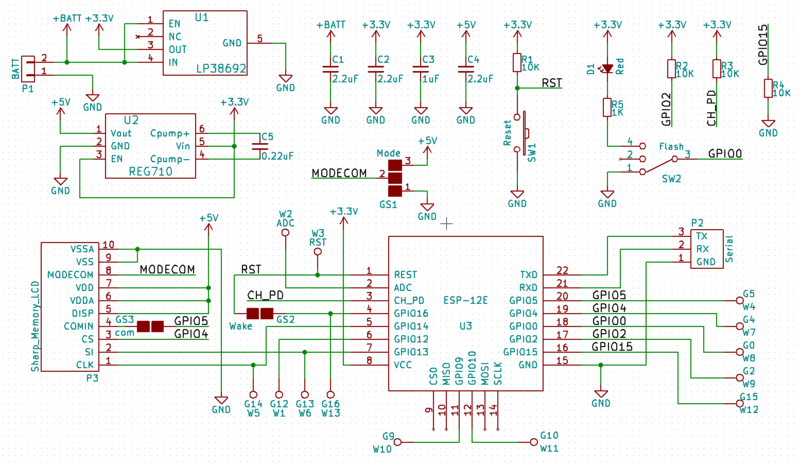 The LCD needs 5V and TI have a convenient boost converter: REG710NA-5. 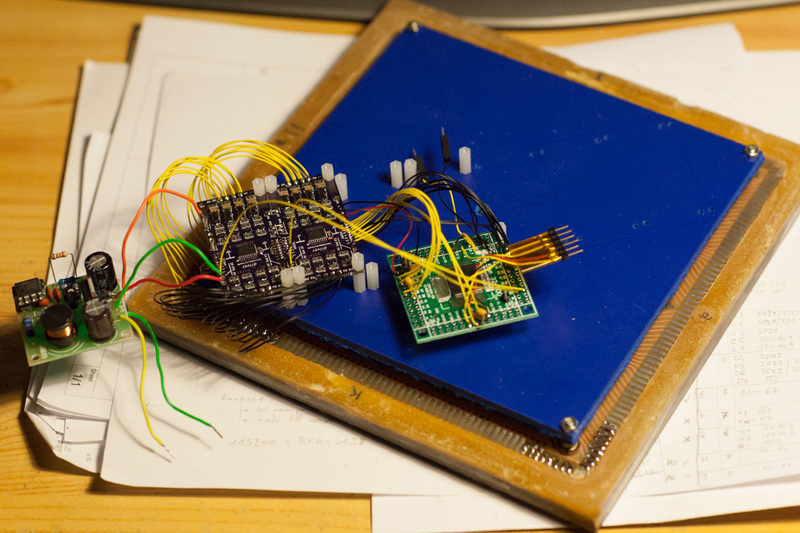 For the ESP12E wiring, Adafruit made a very nice job with their Huzzah board. After some divergeant ideas and solutions, I used sockets to transfert the image from the Raspberry pi to the ESP8266. In fact, the raspberry java code generate directly the data that should be transmitted to the LCD. The ESP Lua code is then just a bridge between socket and the SPI LCD connection. 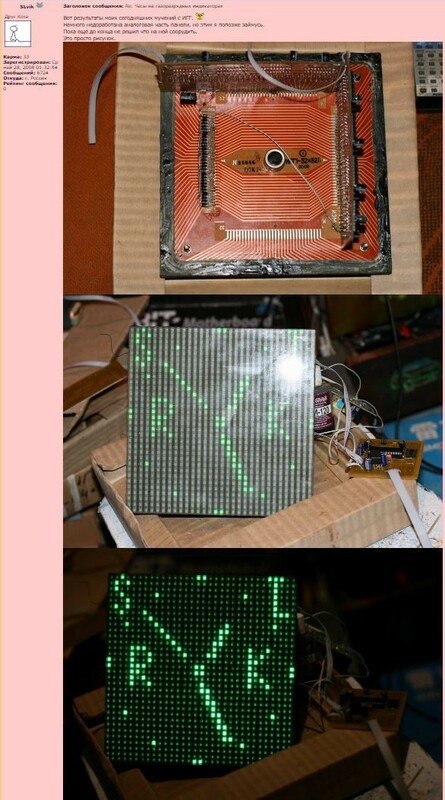 The Lua and Java code is on github (init.lua, socketLCD.lua and WifiDisplay.java). The ESP is in deep sleep as much as possible. When waking-up, it connects and takes an IP from the house Wifi access point, connects to the raspberry pi socket, receives the image data and sends it in the same time to the LCD, and finally goes back to deep sleep. 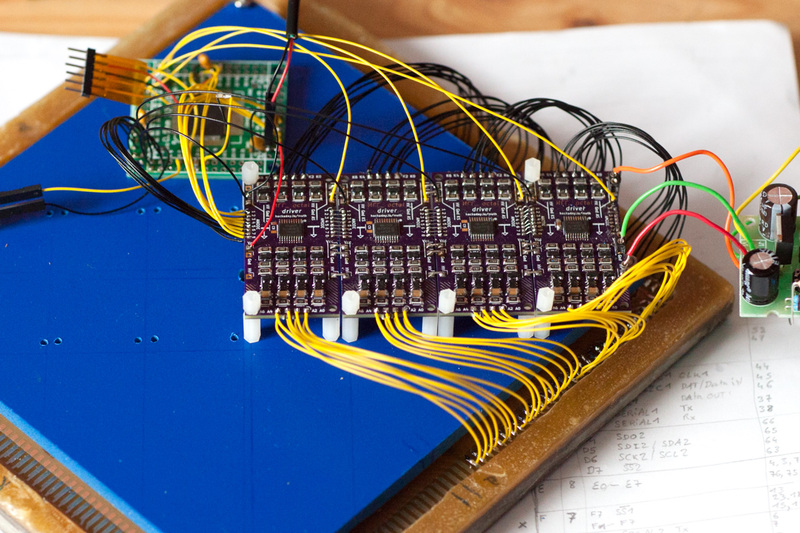 We cannot stay with a prototype, and for the first time I tried the OSHpark services. What an amazingly good experience! 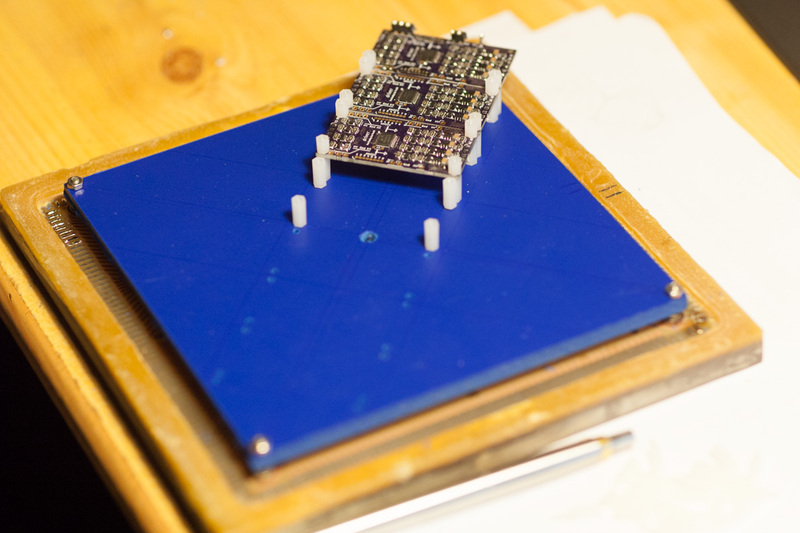 I used Kicad for schematics and board design as the file format is directly compatible. I’ve uploaded one file, and 20 days later the 3 boards were in the mail box. The quality is very impressive, and the pricing for small size is unbeatable. The board can be find here. As a frame, for the moment I’m staying with a simple aluminium plate. Few copper plates to fix the board do the job. 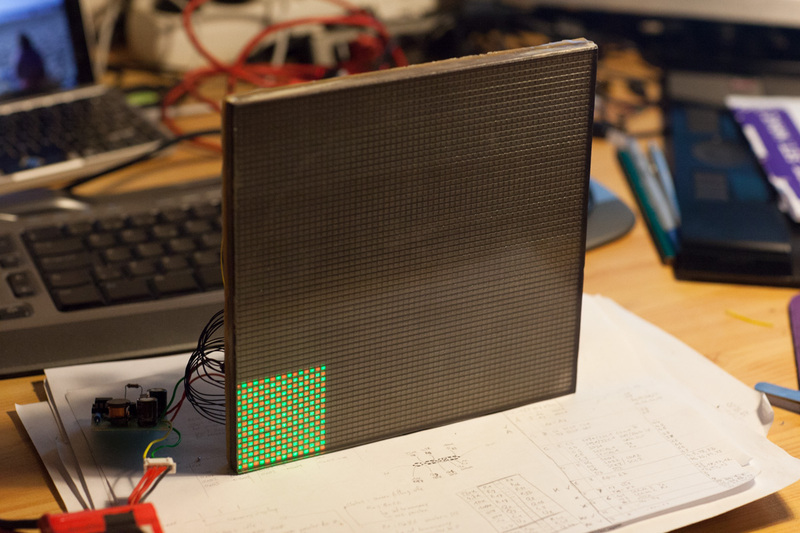 With a 2 minutes refresh rate, the batteries survive around one week. There is then still some improvements to do, such as lower refresh rate during night. Another point I should keep an eye on is the LCD driving. The Sharp datasheet recommend to invert a signal either by a serial command or a physical pin (EXTMODE and EXTCOMIN), thus at a minimum frequency of 1Hz. To lower the consumption, this inversion only appends when refreshing to avoid waking up the ESP8266. After few weeks I didn’t notice any artifact on the LCD. Sharp mention a risk of image retention as well, so an inverted image during night time might be a good idea. 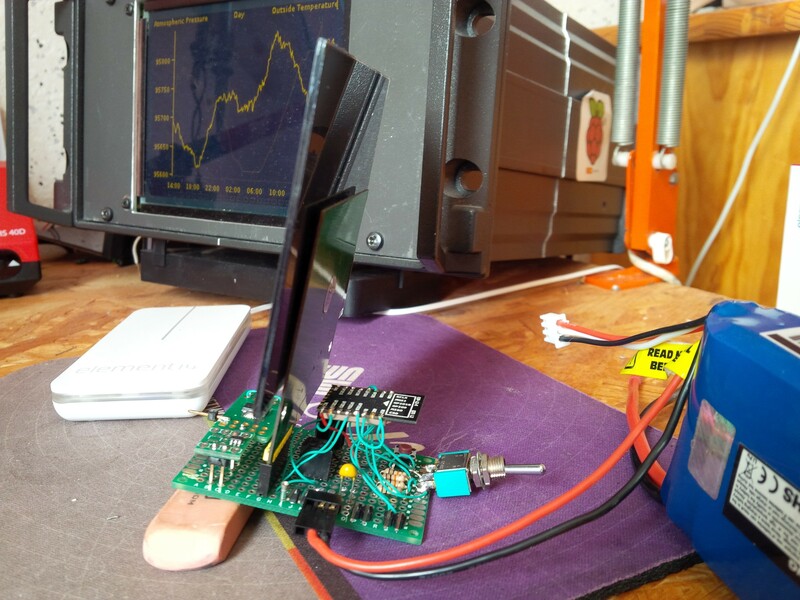 This entry was posted in Micro Controller, Pilogger and tagged ESP12E, ESP8266, hackaday.io, Java, LS044Q7DH01, Lua, NodeMCU, OSHpark, raspberry pi, Sharp Memory LCD on August 28, 2016 by pierremuth.